William Jewell College has been focusing on improving diversity and inclusion on campus this year with the Diversity and Inclusion Plan. This plan’s theme is “awareness reduces bias.” It lays out urgent and important goals for the College to meet. A space to be used by the multicultural organizations on campus, such as Black Student Association, Mi Gente, QUILTBAG, International Student Association, Feminist Club, oSTEM and any other future Jewell-established multicultural groups, is listed as an urgent goal, which should have been met in fall 2017. Right now, there is a room in the basement of Brown Hall these organizations have access to, but many feel the current space is inconveniently located since it is more or less hidden and used for storage. 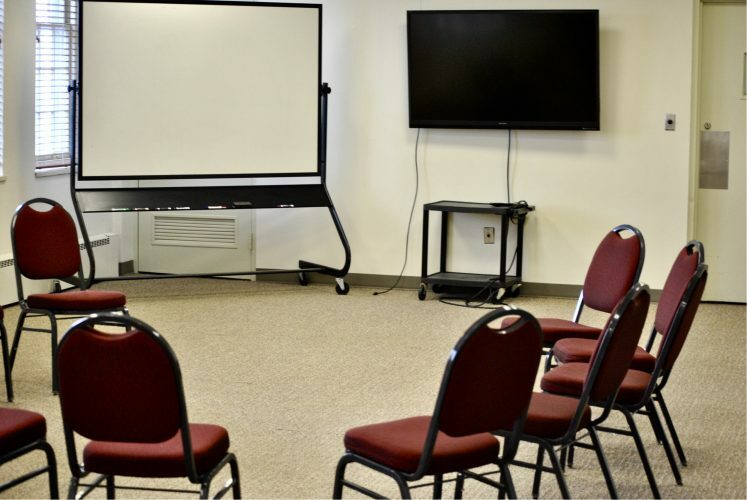 Last year, it was brought up in a QUILTBAG meeting, as well as in a University Innovation Fellows meeting, that the space should be improved and more readily accessible to all. The Diversity and Inclusion Plan requires that a student work group be part of the conversation. This group, comprised of leaders from each campus multicultural organization, the Student Senate cabinet and other interested students, has recently proposed the need for a new multicultural space on campus. The group believes there should be a space “where students who identify in marginalized groups feel welcomed, supported and empowered.” The Diversity and Inclusion Plan states that Jewell seeks to “cultivate a culture of trust that values equity and inclusion with supportive and transformative systems that respect and celebrate diverse individuals.” The proposed multicultural space would help generate this environment. “One of the challenges that I think multicultural organizations face is that the resources that are currently available to them are spread out across campus, and we don’t actually know what they are,” said Sam Fulte, junior biochemistry and Applied Critical Thought and Inquiry (ACT-In) major, oSTEM president and work group member. This new space would allow for resources like QUILTBAG’s library and information for international students to be condensed to one location. In their proposal, the group cited many studies showing that designated “safe spaces” on college campuses are necessary for students to feel welcomed. “It’s a need on all campuses and I think the reason why it needs to be immediate is that it is something that students should have available 24/7. It’s also, as a campus it defines the environment and expectations we set for our students. If we have a multicultural space, we’re establishing that we are open-minded and considerate and supporting the empowerment of marginalized groups,” said Seki Anderson, senior biochemistry and ACT-In major, Feminist club president and work group member. The multicultural space would be accessible to everyone but particularly geared towards welcoming students belonging to the various multicultural groups on campus, as well as disabled students and any students who identify as a part of marginalized groups. Individuals would be able to use the space for organization meetings, supply storage, socializing, studying and relaxing. “My vision for this space is that the multicultural organizations will finally have a place of their own. A place to keep their supplies and artifacts, a place to have cabinet meetings, a place to host organizational meetings and a central place to find relevant information for those groups,” said Fulte. Fulte hopes that by having all multicultural groups located in a central area, they can collaborate more on projects and better advocate for the changes they want to see on campus. The proposed temporary space is Yates-Gill College Union (YGCU) 210. All Jewell students will be able to access this space from 9 a.m. to 5 p.m., and multicultural group members will have 24-hour access. The student group is working with Shelly King, Dean of Students, and Dr. Tricia Hager, Director of Counseling Services, to create this space. The original goal was to have the space completed by spring break, but due to logistics the space will not be completed until fall 2018. “It looks like realistically, we may have a space ready to go when the students return in August. Currently, there are groups using YGCU 210 through the rest of this semester and it has been scheduled and confirmed for some of our summer groups,” said King. The multicultural organizations are also seeking a larger, permanent space. Curry Hall is the proposed permanent space because of the renovation potential. “Eventually, for a brand new one, I would want to see it as a lounge, a place people go to similar to the PLC (Pryor Learning Commons)…I would like to see both a studious atmosphere, a place you can study, but also just hang out with friends,” said Anderson. The big picture goal includes office space for each multicultural group on campus, similar to the offices Student Senate and the Hilltop Monitor already possess. There has been some hesitation regarding using Curry because it is seen as a business area. Anderson believes this connection could be altered. “I think that can be changed. Curry used to be the PLC, it used to be the library where all students would go at one point during the day,” she said. The multicultural space will be a place all students can use and go to feel welcomed and is one of the first steps in actually achieving Jewell’s diversity and inclusion goals. “I think having this space better allows Jewell to support its diverse individuals. But it cannot stop at that. There needs to be change within individuals, change with policies, and change with how we think as an institution if we want to accomplish these goals and create a culture of inclusion,” said Fulte.